Bringing a beloved pet across the Mexican border takes a fair amount of preparation. Every type of animal has their own procedure and forms. Horses brought across the Mexican border into the United States require a three-day quarantine period during which time they will be tested for a variety of diseases. Once passed through the international border, the horse may need additional testing at its state of destination. Find a customs broker. Mexican import/export law requires all cases to be handled by a customs broker found at any of the border crossings. This person will provide you with a Mexican permit and will assist you in all veterinary matters and crossing the border. Obtain a health certificate issued by veterinary officer of the National Government of Mexico. The certificate must state that horse has been in the country for 60 days, is free of contagious diseases, and is free from ectoparasites. Reserve a space at a USDA-operated quarantine facility. The Los Angeles Import Center is located in Hawthorne, California and is the closest facility to the Mexican border. Other facilities are located in Rock Tavern, New York and Miami, Florida. Check the USDA website for contact information. Check state requirements. The state of destination may require medical testing or forms in addition to those required by the federal government. The will be presented upon entry to the state of destination and/or at the time of registration. Bring the horse to the port of entry. At this point, you will present your health certificate form, Mexican permit, passport and pay the quarantine fee. You will be charged $270 per day for your horse with a three day minimum charge of $810. Prices are subject to vary without notice. Wait out the quarantine. During quarantine, your horse will be tested for dourine, glanders, equine piroplasmosis and EIA. If your horse tests positive for any of these diseases, it will be denied entry into the United States. Continue to your final destination. Once the horse is determined to be in good health and has all the proper paperwork in place, it will be released from customs. 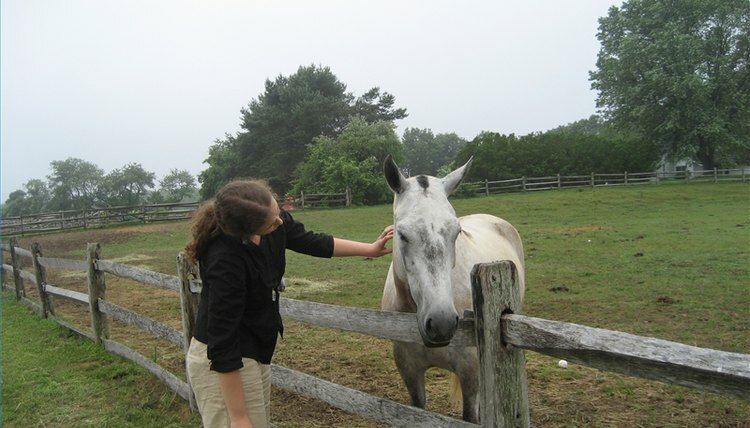 You can search for a veterinary officer to certify the health of your horse on the USDA APHIS-VIS website. One or several phone conversations to the federal veterinarian at the border can also be very helpful. Be sure to inform the customs agents of any particular medical problems or required medication before quarantine.